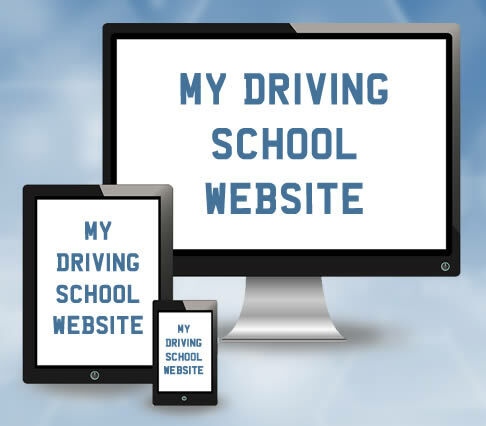 Now that you’ve created your driving school website (how to create a driving school website), you now need to create pages and content to attract customers. When it comes to websites, there is an old saying; ‘content is king’. Creating content that is relevant to your type of business and content that is useful is essential. There are many search engines, but Google is still number one and over the years they have developed sophisticated algorithms that can detect content that is useful, from content that is not. Generally speaking, useful content; a page that someone will read a large portion of (if not all) will help your website rank better. Useless content will do the opposite. With time and effort, you can create an effective driving school website that gets results; customers willing to pay for your services. If you do it correctly, your rankings will increase and you’ll find that you require advertising less due to gaining results from natural search engine rankings. 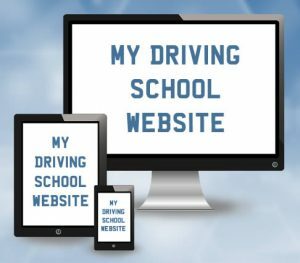 This guide will steer you into the right direction for building an effective driving school website. In today’s technological environment, we use the internet on multiple devices, all utilising different sized screens. From smart phones, to tablets through to huge smart TV’s – they all have access to the internet. Research has shown that internet users have little patience and will close a website quickly if results are not provided effectively. It’s important that your website properly fits all device screen sizes, enabling your information easy to access and read. Modern sites use ‘responsive’ technology that adapts to the size of the screen automatically. You no longer need a ‘mobile friendly’ version of your main website if you choose a responsive theme. Responsive themes are available to for most content management systems including WordPress. Internet users want to find out about what services you offer as easily as possible. In particular, learner drivers (or their parents) want to know whether you provide manual or automatic lessons – so make this information easily accessible. Many learners also have a preference to a particular car, so also include information on the make and model of the vehicle/s you use for tuition. Those looking for driving lessons want to know what prices you charge without the need to phone up and ask. List your prices for individual lessons and other courses offered, along with any discounts and block booking discounts if applicable. Failing to provide such information will likely see potential customers look elsewhere. There are rules and legalities that must be followed to ensure no misleading information is given. For further information on these rules, see UK Code of Non-broadcast Advertising and Direct & Promotional Marketing (CAP Code) and information specifically in relation to misleading advertising. All learner drivers want the best driving school, offering the best services to stand the best chance of passing the test first time. Any particular qualities you have that may be of benefit to learners and their ability to pass, make sure you mention them. This could be that you’re very patient for example, but ensure you do not provide unfounded claims. This could be for example that ‘you have the highest test pass rate in your area’ – unless of course this is true and you can prove it. Here are some rules and information in regards to substantiating information you provide. A learner driver will be spending many hours sitting next to you – a ‘stranger’. As the saying goes, a picture is worth a thousand words, so include and photo of yourself and your car on your website. This will increase confidence and reassurance for the potential customer that they’re making the correct choice. Along with your photo, a little background history may prove beneficial, such as the length of time you’ve been teaching and what achievements you’ve gained. A potential customer is often converted into an actual customer when they are reassured that they’re making the right decision. Typically, this comes in the form of reviews and testimonials. Add your business to Google search and Google Maps – not only will it increase your online presence, but it will provide previous customers the ability to provide reviews. Once a pupils has had lessons and passed their test, politely ask if they could find the time to write a brief review of their experience. It’s usually best of you give them instructions on how to do this. Testimonials is another excellent method to reassure potential customers. Have a section on your website dedicated to the testimonials of previous successes. This is often in the form of a photo of the test candidate holding up their pass certificate along with some text. However, there are a few rules to abide by. The testimonials must be accurate and truthful, have evidence to prove it and you must have the permission of the person to use this testimonial along with their photo. Here, you can find rules outlining testimonials. You must also have the contact information for the person giving the testimonial. Remember, keeping personal data may require you register under the Data Protection Act. Use this assessment to see if you need to. You’ve probably been to a website where it asks whether you want to allow permission to allow cookies. Cookies are small files stored on your computer or mobile device that hold information regarding your preferences and previous internet history searches. If your website sets cookies, you must inform users and get their consent. Here’s information about cookies. We touched on ‘content’ at the start of this guide and how important is can be. It’s important to keep a website ‘alive’ and along with user content such as reviews and comments on blogs, this can be done by the website owner by updating existing content or adding new content. Essentially, any information you add to your site, providing it’s good and useful will likely benefit you. It won’t happen overnight, but in time you’ll see your rankings increase and an increase in customers.